These are the release notes for Sophos Intercept X for Windows 7 and later, managed by Sophos Central. Some of the features mentioned in these release notes are only available if you have the appropriate license. You may find that you cannot yet download and use the latest version. This is because Sophos releases the software over a number of days, but publishes the release notes on the first day. You should also read the Sophos Core Agent release notes. They cover the changes, resolved issues and known issues for the core components. For information about the changes to the Sophos Core Agent, see the Sophos Core Agent release notes. 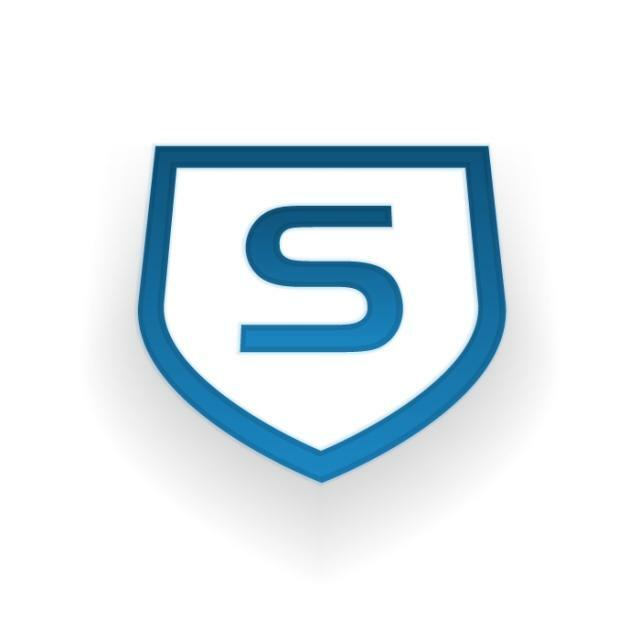 For information about the changes to Sophos Endpoint Advanced, see the Sophos Endpoint Advanced release notes. For improvements and new features in the Sophos Central console, see What's new in Sophos Central. Version 2.0.13 was a partial release and was not distributed to all customers. HitManPro.Alert has been updated to 3.7.12.466. Machine Learning Model has been updated to 20181226. Resolved an issue with not being able to start Skype automatically. Resolved an issue with ROP detection in Microsoft Office 2016. Resolved an issue with ROP detection in Excel.exe when using KUTools. Resolved an issue with Cygwin running slowly. Resolved an issue with exclusions in Prism. Resolved an issue with processing invoice files. Resolved performance issues with loading some websites in Internet Explorer. Resolved an issue with detections in games. Resolved an issue with detections in 1Password. Resolved an issue with computers being slow to start and starting with failed services. Resolved an issue with stopping SiteKiosk opening. Resolved an issue with false positives in Explorer.exe. Resolved issues with Raid controllers. Resolved an issue with detections in Windows Media player. Resolved an issue with detections when using 'AutoDWG to PDF converter'. Resolved an issue with false detections in Symantec PGP Encryption. Resolved an issue with using Internet Explorer. Resolved an issue with SofTrack failing on Internet Explorer. This version was not distributed to all customers. HitManPro.Alert has been updated to 3.7.12.454. HitManPro.Alert has been updated to 3.7.10.762. Resolved an issue with an IP CryptoGuard detection when using the NGEN publishing application. Resolved an issue with ROP detection in Winword.exe. Resolved an issue with ROP detection in several applications. Resolved an issue with ROP detections in Chrome 67 and later. Resolved an issue with PDFs failing to open from the command line. Resolved an issue with a Caller Check exception in Outlook when the SNAPAddy plugin is installed. Resolved memory issues that caused Windows to stop. Resolved an issue with Skype failing during a video call. Resolved an issue with an IP CryptoGuard detection in Lotus Notes. Resolved an issue with Windows 7 computers hanging on shutdown. Resolved an issue a false LoadLib exploit detection in Firefox. Resolved an issue with WipeGuard protection not working on Hyper-V virtualized systems. Resolved an issue with a Caller Check exception in Excel when the UnionSquare plugin is installed. Resolved an issue with a Windows 7 machine freezing when running Intercept X and Symantec Endpoint 14.0.3897.1101. Resolved an issue with false ROP exploit detection with Excel documents containing multiple macros. Resolved an issue with a CryptoGuard detection in AppLife Update. Resolved an issue with false detections when Digital Guardian is installed. Resolved an issue with a HitmanPro.Alert driver causing Windows to stop. Resolved an issue with a Lockdown detection in Internet Explorer when accessing an internal web app. Resolved an issue with detections in a debug version of the Flash ActiveX plugin. Resolved an issue with false Import Address Table Access Filtering detections in Outlook. Resolved an issue with Windows error logs being created for HitmanPro.Alert. Resolved an issue causing ROP detections against Microsoft Office 2013. Resolved an issue with ROP detections in Chrome and streaming media. Resolved an issue when installing Sophos Central Web Gateway. Machine Learning Model has been updated to 20181024. Version 2.0.9 has been deprecated after customer feedback. The current HitManPro.Alert version is 3.7.6.756. Machine Learning Model has been updated to 20180820. HitManPro.Alert has been updated to 3.7.10. HitManPro.Alert has been updated to 3.7.6.756. HitmanPro.Alert We've currently disabled protection of the Security Account Manager (SAM) database against attempts to steal hashed authentication credentials. We expect to enable it soon after the product release. Protection against theft of cleartext passwords from the Local Security Authority Subsystem Service (LSASS) is enabled. HitmanPro.Alert Credential theft protection does not report an event when it prevents malicious access to the runtime cleartext version of the user's password. Sophos Intercept X Machine Learning should not be run alongside Invincea X. Invincea X should be uninstalled before installing Sophos Intercept X.
Uninstalling the Opera browser may generate an application lockdown detection and fail to allow uninstall of all the Opera browser components. See https://community.sophos.com/kb/en-us/124988 for a full list of known issues with Sophos Intercept X . This version of Sophos Intercept X is supported on Windows 7 and later client operating systems. Versions of Windows targeted by Microsoft for non-business environments are not supported.